Uncovering a person’s underlying motivations allows care managers to work with them to establish desirable and achievable care plan goals to improve their health. Motivational interviewing can improve client engagement, help to resolve client ambivalence, and promote client activation in activities that lead to better health outcomes. This in-depth course teaches strategies to assess and strengthen an individual’s motivation to take action. My name is Gabriell Wilson. I’m a social worker with Health Plan of San Joaquin. One of things I’ve noticed about this course is that there’s a lot of role-playing scenarios where you can listen and get a chance to answer the questions back. So it’s very interactive, and you get a lot of practice. The face-to-face training was really good. The instructor was really great in getting everyone engaged, and we got the opportunity to train in our scenarios in things that we are studying so we had the chance to give examples of what we experience and have the instructor guide us for those situations that were specific to our field. If you are thinking about taking any training from Care Excellence, I would recommend it because it’s very interactive, it’s very engaging, and you learn a whole lot about building relationships or better relationships with the people that you are working with. Research shows that people aren’t motivated to reach goals that others set for them—even if the goal fits with the person’s stated desire. A client may be labeled as non-complaint or resistant to following a care plan, in part because a care manager has not adequately explored the person’s intrinsic motivation for change. Motivational interviewing is a powerful way case managers can help clients take the lead in effectively managing their chronic conditions. *Successful completion of these two modules in this course is a pre-requisite for taking the Motivational Interviewing Practicum (face-to-face) course. The Motivational Interviewing course introduces key concepts underpinning this clinical approach. Learn how 14 different motivational interviewing techniques can be used to explore client values and to help them overcome reluctance in identifying and achieving their own healthcare goals. The Motivational Interviewing course has been pre-approved by the Commission for Case Manager Certification (CCMC) to provide 6 hours continuing education credit to Certified Case Managers (CCMs). This first motivational interviewing online module focuses on defining motivation in relation to your work with clients, understanding the evidence base behind it, including limitations and situations when it isn’t effective, and defining the impact of culture on motivation. 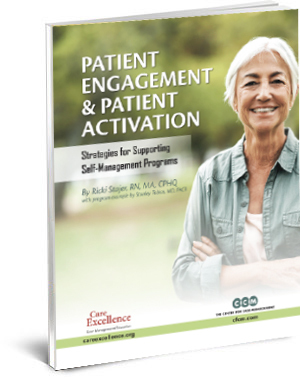 Care managers will learn how to embrace the spirit of motivational interviewing in order to encourage people to establish person-centered goals and plans. In addition, care managers will identify dynamics that can jeopardize their ability to provide effective client support. Building upon the concepts taught in the Core Principles module, this module details 14 specific motivational interviewing techniques that care managers can immediately integrate into their practice including OARS, affirmations, reflections, rolling with resistance, decisional balance, and numerous others. At the conclusion of this module care managers apply and validate their new knowledge using a video vignette case study. The Motivational Interviewing program is available online as a part of the Foundational curriculum training. Below are some Fast Facts about this course and its modules. Please call us for more information.